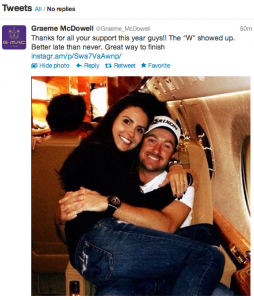 The Golf Blog says: Graeme McDowell saved his best for last, winning Tiger Woods’ World Challenge by 4 shots over Keegan Bradley (who unfortunately was heckled by a fan this week for using the soon-to-be banned belly putter). 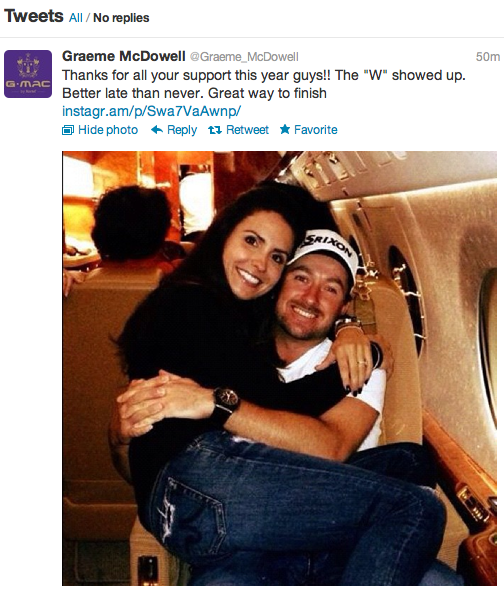 GMac tweeted his victory pose with girlfriend Kristin Stape. Are they engaged yet?